The Rusty Hub: WEEKLY QUESTION: At which international track would you most want to run your crapcan? WEEKLY QUESTION: At which international track would you most want to run your crapcan? The polls have closed on our initial Weekly Question and the masses have spoken. Unsurprisingly, the plurality (34 percent) of our readers arrived here by race car, though it was far from a runaway. The Internet brought 27 percent of our readers to the site, which just edged out dark horse candidate and "rocker" Kip Winger, who garnered 25 percent of the vote. Sadly, the complexity of magnets proved too much for most and only 12 percent of our readers arrived through such miracles. 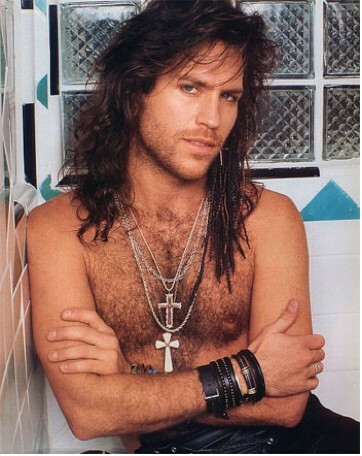 If this were a parliamentary election with proportional representation, race car guys would have their hands full with an alliance between Kip Winger and magnets. At which international track would you most want to run a crapcan race? Look to the top of the right-hand column for the choices. If the track you have in mind isn't on the list, check the "Other" button and tell us in this post's comments which circuit tickles your well-oxidized fancy. Hell, leave a comment here even if you choose one of the listed tracks to tell us why you chose it. The final step is, of course, to trailer your race car/Internet/magnet/Kip Winger and tackle with reckless abandon the circuit you chose. And sexiness. Although I absolutely LOVE Bathurst and the Nordschleife is legend, it has to be Circuit de la Sarthe for me. I voted for Spa, but Suzuka would be a close second. Our crapcan would be beautiful through the S Curves and the 130R. Paris-Dakar in a crapcan anyone? Anyone?